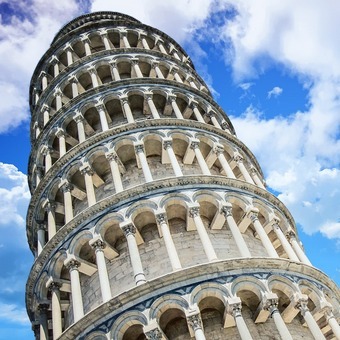 The Leaning Tower has been proudly standing in Pisa for over 845 years. There are no clear records from the times of its construction and all the information we have is fragmented and sometimes contradictory. 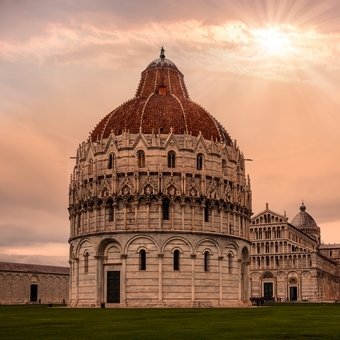 However, the information we publish on our pages is collected directly from the historical archives in Pisa and we have been able to put together a reliable set of facts and dates for the events related to this fantastic monument. 2013 - The Tower is straightening. Measures of the inclination reveal that the Tower is moving backwards and it is decreasing its inclination. This is an expected consequence of the last works performed on the building. 2001 - The Tower reopens. After over one decade of works, the Tower has lost over 40cm of lean. The 30 million EUR project has been a great success. It brought back the tower to the inclination it had 200 years ago. The Tower is declared out of danger anf it reopens its door to the public. 1990 - The Tower is closed for works. The Tower is declared in danger of collapse. The leaning angle is well past the 5° and the structure needs immediate attention. 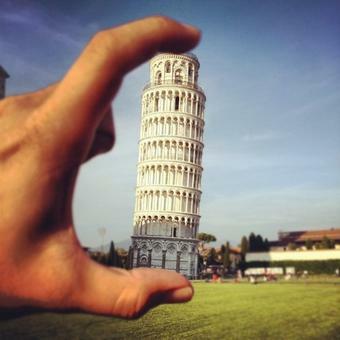 Following the collapse on another tower in Italy in 1989, the Leaning Tower of Pisa is closed to the public and straightening works begin. 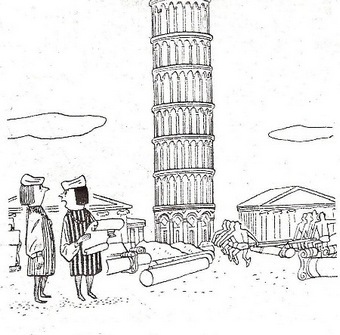 1934 - The Tower should stand straight. 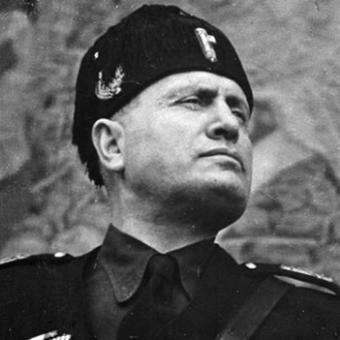 Benito Mussolini puts his hands on the Tower and his men try to restore the perfectly vertical stance it never had. It is a disaster again: the Tower now leans even more. 1838 - The Tower gets a dangerous makeup. The architect Alessandro della Gerardesca attempts to increase the value of the Tower by exposing its beautifully carved base. 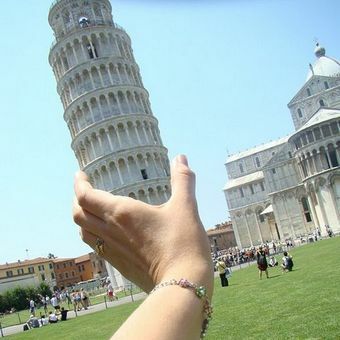 It is a disaster: the Tower suddenly increases its lean. 1372 - The Tower is finished! After 200 years from the start of its foundation, the Tower is finally finished. The seven brass bells are installed on the top. 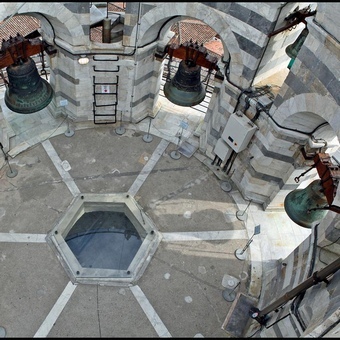 The bells weigh more than 10 metric tons. 1350 - The Tower gets a top. 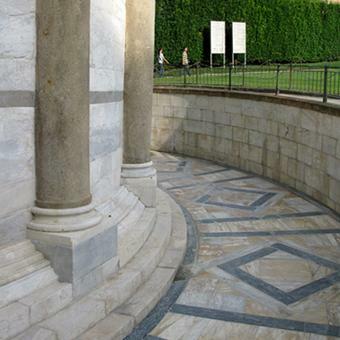 Construction of the 8th tier begins under the supervision of the architect Tommaso Pisano. This will be the last floor of the Tower and it will take over 20 years to complete it to perfection. 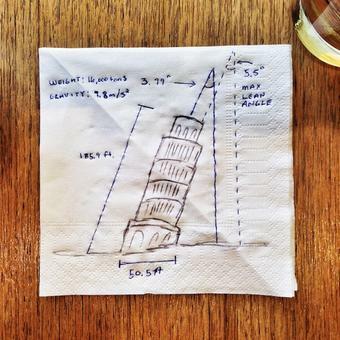 1284 - Pisa loses control. 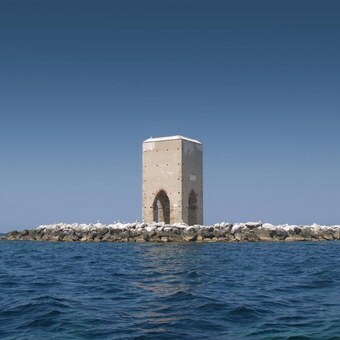 Giovanni de Simone built the Tower up to the 7th tier. A new war stops the construction works. In a sea battle Pisa will be defeated by Genova. 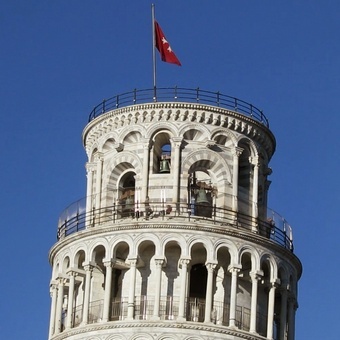 It is the beginning of the decline of Pisa's power over the Mediterranean Sea. 1272 - Works start again. After almost 100 years, works are resumed under the direction of th engineer Giovanni de Simone. 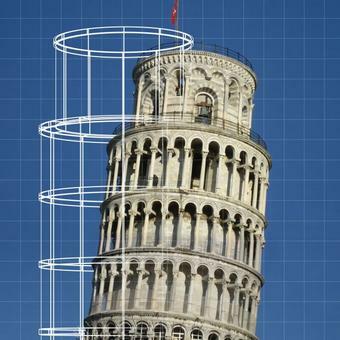 In the course of 12 years, Giovanni will bring the Tower from 3 to 7 floors. 1178 - The Tower starts to lean. Once builders reach the top of the 3rd tier, the foundation gives up under the weight of the Tower. The Tower is leaning. Works are stopped while the Architect is looking for a solution. 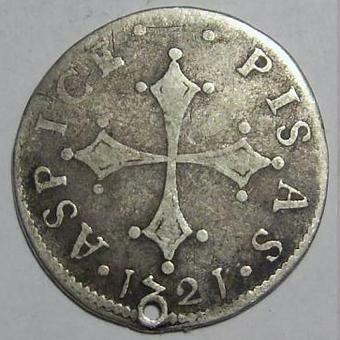 Meanwhile, Pisa goes to war with Genova. 1173 - Construction of the Tower. The Tower is designed as a straight tower bell. The soil is perfectly levelled. 1172 - Excavation works for the Tower. Donna Berta di Bernardo gives money to finance the foundation of a new freestanding bell tower for the Cathedral. Excavation works begin, one year before the first foundation stone is laid. 1152 - Construction of the Baptistery begins. The Baptistery of St.John was designed by Diotisalvi, whose signature can be read on two pillars inside the building, with the date 1153. This is the largest baptistery in Italy, it is 54.86 m high, with a diameter of 34.13 m.
1064 - Construction of the Cathedral begins. 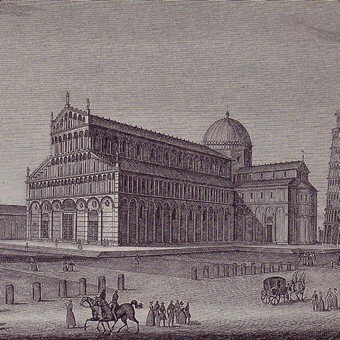 The Bishop Guido of Pisa begins the construction of the Cathedral in Pisa. The cathedral was consecrated in 1118 by Pope Gelasius II. We have collected for you the most interesting facts about the Tower.